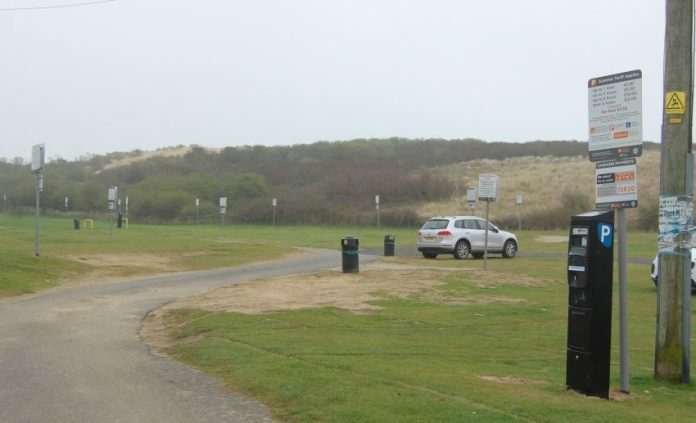 At its recent Cabinet meeting Rother District Council (RDC) agreed to earmark £330,000, funded from the Car Parks Earmarked Reserve, to undertake improvements to the Western car park in Camber. The Western car park is the biggest owned by RDC in Camber and has 1,800 spaces. The high volume of traffic, especially in the summer months, has had a detrimental impact on the grassed areas of the car park resulting in a high level of degradation. This often results in cars being stuck in the sand and the need for council staff to help extricate them. In addition, in winter months same areas of the car park are prone to localised flooding which further de-stabilises the surface. The Council estimates that the work will help reduce the annual maintenance costs, and lost income they incur when they have to close sections off, by £25,000 each year. Therefore RDC believes £625,000 will be saved over the expected life of the works. The work has been earmarked to take place between October 2019 – March 2020 and will entail the ground being reinforced in the three worst affected areas with heavy-duty grass blocks for maximum longevity and a plastic grid system which interlocks and allows grass to grow through, so preserving the aesthetics of the car park. Not all the car park will be resurfaced, only around 5,000sqm of the 35,000sqm will be tackled. The full report can be read here. At the same Cabinet meeting on March 11, RDC agreed to go ahead and investigate the redevelopment of council-owned sites. 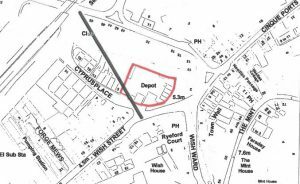 The list of sites owned by Rother and up for consideration are spread over the District with two in Rye: Gibbets Marsh car park and the site of Rye Hire on Cyprus Place. A budget of £250,000 has been earmarked to pay for the investigation but the Cabinet also insisted that prior to any work commencing, a further report needs to be submitted to the next meeting which includes clarification how the budget is to be spent. The feasibility work is likely to include a number of considerations including technical, financial and planning suitability therefore there is no certainty that the two sites in Rye will be redeveloped. The next Cabinet meeting will take place on April 8, 2019. It is worth noting that all future development in Rye should be subject to the material considerations of the Rye Neighbourhood Plan, which is out for external examination. Both Gibbet Marsh and Cyprus Place are considered in the Plan and have been the subject of significant site assessment and public consultation. Unofficially Rother Planners have indicated that no development on Rother sites will be planned without full consultation with Rye Town Council which owns the Neighbourhood Plan. Importantly, to avoid nugatory and expensive duplication of work, it is hoped that any further study of Rother sites across the District by consultants takes full account of the work already completed by Neighbourhood Planners. If Gibbet Marsh and Cyprus place “have been the subject of significant site assessment and public consultation” why is RDC planning to spend another £250k investigating further?